When you’re running a business, two of the most tedious, yet critical pieces of the puzzle are time tracking and payroll. Manual timesheets don’t tell you much about the work being done, and doing payroll in Excel is just asking for trouble. Lucky for QuickBooks® Online customers, there are a few apps and a built-in feature to help put these challenges behind you. Whether you’re paying hourly or salaried employees, these apps do more than automate a few processes – they help you run a savvier modern business. Simplify payroll with the ONLY time tracking system inside QuickBooks. How it works with QuickBooks: Find the powerful employee time tracking capabilities of TSheets embedded directly inside Quickbooks Online. Whether in the office or on the road, your employees can quickly and easily track time from any location, using any device, with TSheets. That time data is automatically synced to your QuickBooks account in real time. From there, you can easily manage, review and approve employee time cards to run payroll, do job costing or create invoices – without ever leaving QuickBooks! Easy GPS time tracking and scheduling for mobile workforces. 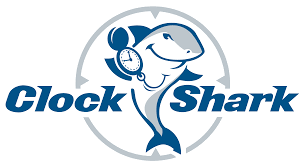 How it works with QuickBooks: Easily sync your QuickBooks Online Jobs, Customers and Service Items with ClockShark. Then, your workers can easily track time to them. Review and edit your time activities, and then export them to QuickBooks Online in 30 seconds with the click of a button. Simple, fast and friendly payroll software for small businesses. 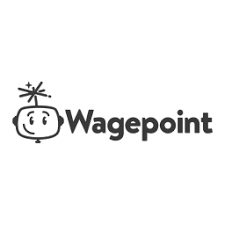 How it works with QuickBooks: Set your employees or independent contractors up in minutes and use Wagepoint to get them paid accurately and on time. With the QuickBooks Online integration, you’ll never need to add another payroll transaction manually. Export payroll details as a bill or journal information by paygroup and paycycle dates. New year. Fresh start. Effortless payroll. How it works: Take payroll and taxes off your to-do list. Set up in minutes, run payroll in 3 simple steps and easily file your payroll taxes, all from QuickBooks Online. Simply sign into your account, click the Employees tab and then click Get Started With Payroll. Free yourself from payroll stress, so you can focus on what you love.